This barrel may or may not have been flung at another rider moments after this was taken. 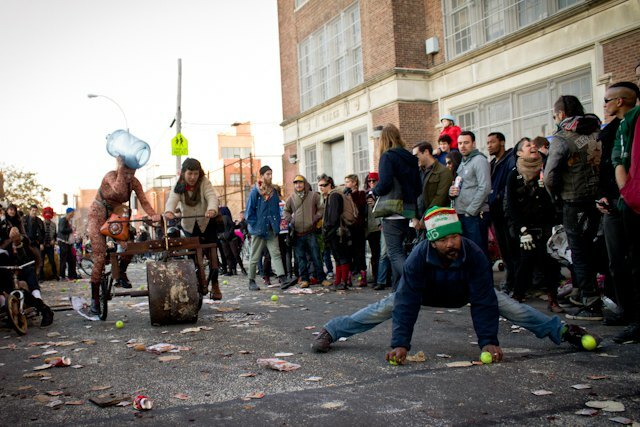 Photography by Timothy Skehan for Bushwick Daily. 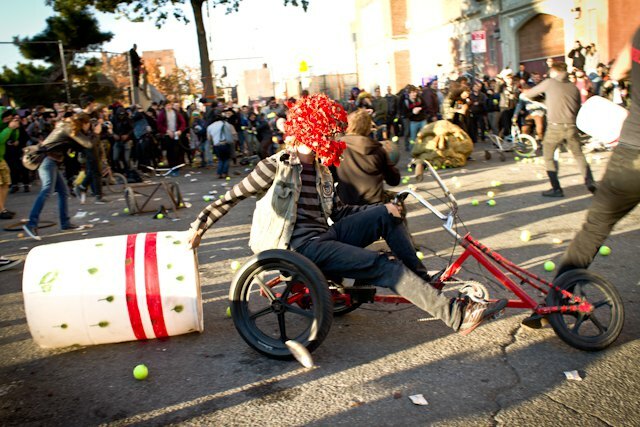 Black Label Bike Club's annual freak bike expo Bike Kill has once again come and gone in a blaze of food-throwing, shin-bruising, and chaotic glory. Bushwick Daily had a great time at this year's event, which was their 10th annual and landed (for once) on a day of lovely late October weather. Photographer Tim Skehan was on hand and got prime shots of the high-drama moments. Take a look at his pictures below- they will definitely inspire you to up your Halloween game. 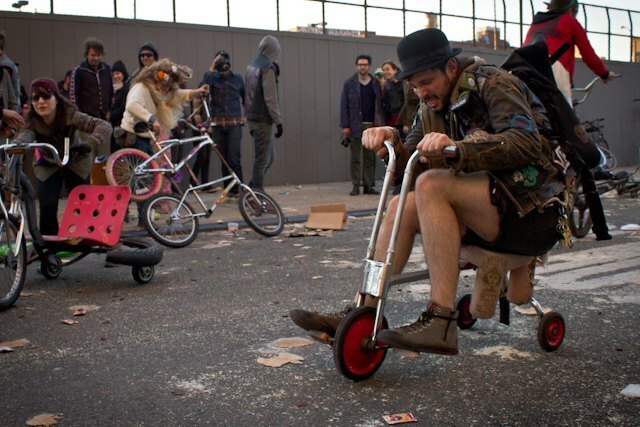 And though this event technically took place in Bed-Stuy, a decent number of these beautiful monster bikes were actually built in our very own neighborhood, with many of the riders hailing from the north side of Broadway as well. See if you can spot anyone you know in the crowd! 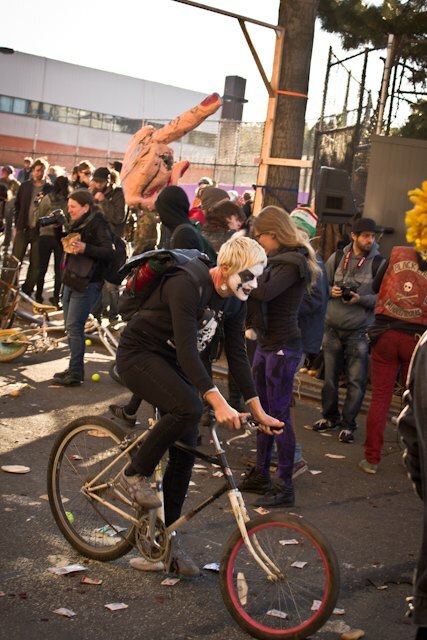 A rider with some dramatic face paint leans in: Photography by Timothy Skehan for Bushwick Daily. 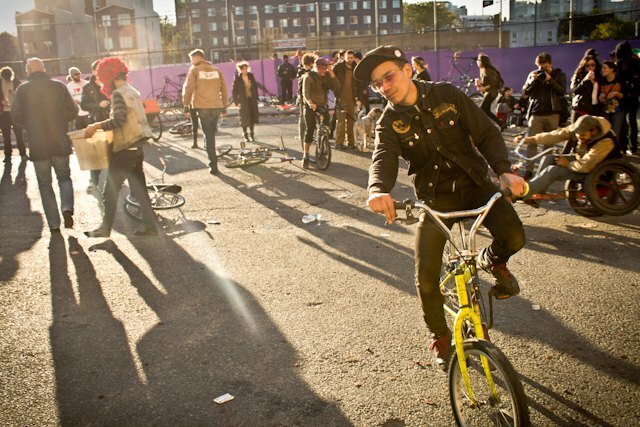 DJ Dirty Finger takes a break from spinning for a spin on a little yellow number: Photography by Timothy Skehan for Bushwick Daily. 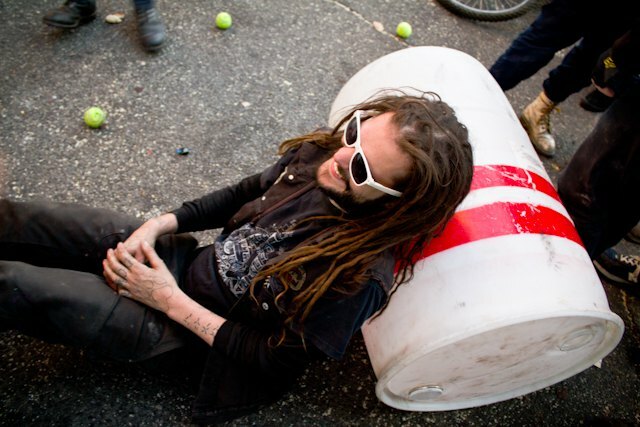 A Black Label member takes a break in a low-traffic corner of the lot. Photography by Timothy Skehan for Bushwick Daily. 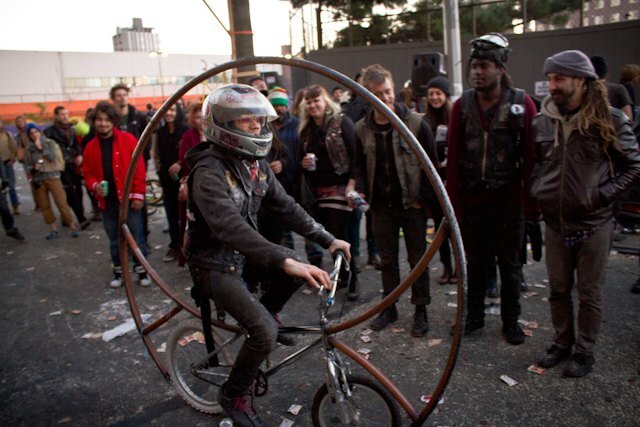 This is a roll cage bike. You use it to flip upside down. Photography by Timothy Skehan for Bushwick Daily. Some bikes require a few riders--and some people pulled out some intense moves mid-tennis ball fight. Photography by Timothy Skehan for Bushwick Daily. Bikes with tiny wheels: Pretty hard to gain momentum on. Photography by Timothy Skehan for Bushwick Daily.